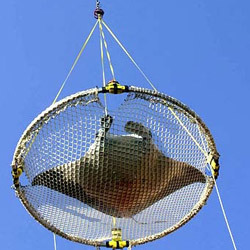 Over-flow box for non drilled tanks. AQUALINE Wet/Dry FilterWet/Dry Filters are a must for any aquatic eco-system, they enhance biological filtration as well as mechanical filtration and with the proper pump they will cut down maintenance time and do a much better job than traditional filters including canister filters. 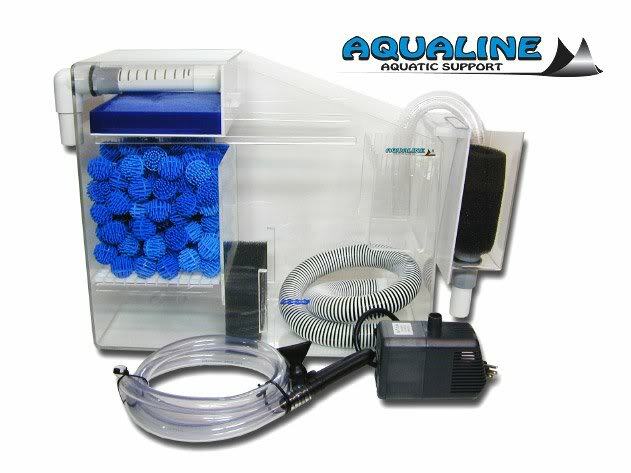 This AQUALINE Aquatics unit includes, Bio-Balls, a Polishing Block, Flex Drain Hose, Over-Flow box with lid for non-drilled tanks, CA-1800 Return Pump. This filter incorporates unique one piece wrap around design with slotted water disbursement tube over a drip tray drawer. This design prevents salt creep and improves the filter replacement process while allowing extra room in the tray for chemical bags. Slim design allows easier installation in smaller aquarium cabinets. These filters work for freshwater or saltwater *Non- Drilled * tanks. Filter media can be removed for use on a reef aquarium. This filter is rated for aquariums up to 60 gallons, and flow rates of up to 500 GPH. All AquaLine Dry units carry a manufacturer's LIFETIME WARRANTY against materials and defects in workmanship.